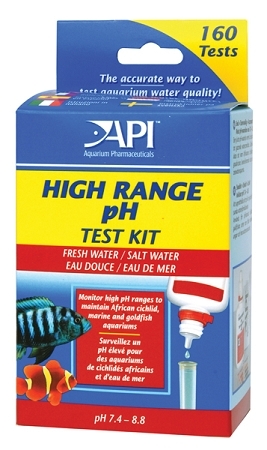 API High Range pH test kit are needed for certain fish species that thrive in water with higher pH. 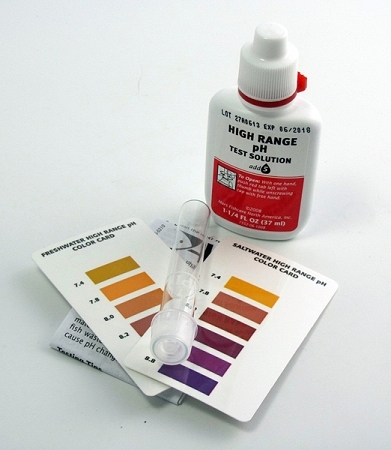 Standard pH kits don't always measure up to the highest ranges of this test kit. Accurately measures pH of water above 7.4 and up to 8.8 range. Each kit includes High Range solution, measuring test tube, computer calibrated laminated color chart and specific instructions for making pH adjustments. 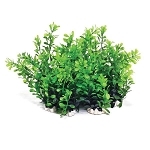 This test is recommended for most live-bearing fish such as mollies, swordtails and goldfish. African cichlids require even a higher pH level of 8.2. Marine fish and invertebrates require even higher levels of between 8.2-8.4. This kit can also be used as a refill for any API Master Test Kits that includes multiple tests.